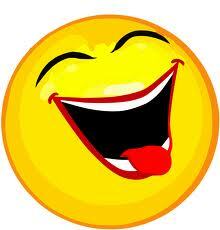 Laughter has psychological and physiological benefits! Humor has always been an important part of Pam’s life, and is a key ingredient in how she and her family survived Alzheimer’s disease. She started lecturing on Humor as a Coping Strategy for Caregivers in the 1990s. She explored how humor could be used in a positive way, to build rapport and garner strength and resilience. In 2009 she found the World Laughter Tour and became a Certified Laughter Leader. Through Laughter Therapy and the Good Hearted Living program she has started integrating therapeutic laughter into her sessions and into her work with elders. Like the World Laughter Tour, she believes that joke telling isn’t for everyone, but everyone can gain the health benefits of laughter through simulated sessions. Daily Laughter, Humor, a Lighthearted Perspective — this is the prescription to cure TOTS disease! TOTS is crippling our nation, and killing our families, communities and institutions. With some discernment, audiences can learn how to integrate a lighthearted perspsective, and develop new habits to eradicate TOTS from their lives.